Mud Volleyball 2016 - Disaster Restoration Services, LLC. 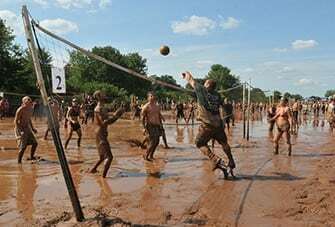 DRS will be participating in the 2016 Mud Volleyball Tournament. This tournament raises money for the Epilepsy Foundation of Connecticut. The Epilepsy Foundation of Connecticut’s mission is to lead the fight to overcome the challenges of living with epilepsy and to accelerate therapies to stop seizures, find cures, and save lives. Please help support the cause and donate if you can to this. link:http://www.epilepsyct.com/mvt_donate.php?tid=390 DRS will be matching the donations by 10% up to $1,500.00.